The name of this organization shall be the Sam Houston State University Staff Council (“Staff Council”). As a collective voice, Staff Council advocates for and represents the interests of Staff to the administration of Sam Houston State University., Staff Council also provides staff with opportunities to succeed through networking and professional development. Act as a liaison between Staff and the administration of SHSU regarding interests and concerns of Staff. Provide opportunities for Staff to reflect SHSU’s motto of service. Provide Staff with learning and professional development opportunities. 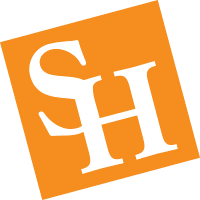 Recognize and promote contributions and accomplishments of Staff at SHSU. Provide networking opportunities to enhance cooperation and camaraderie amongst Staff. All benefits-eligible, non-faculty University employees who have been employed for at least one (1) year prior to the date of the office being sought--with the exception of the President and all levels of Vice Presidents--shall be eligible for membership and/or representation by Staff Council. Sam Houston State University Staff are eligible to nominate and elect other Staff for the offices established in these Bylaws. These data will guide the Nominations and Election Committee in determining the number of members to be elected for each division/unit, whose decision is final. The Chair- Elect will serve a four-year term, with their first year as a member, their second as the Chair-Elect, third as Chair, and fourth as Past Chair. Nominees for Chair-Elect must have served at least one year on Staff Council. Upon being elected to the Executive Board as Chair-Elect, the person elected will have their term extended by one year to meet Executive Board obligations. Representatives shall serve a two (2) year term to begin the first day of August and to end on the last day of July. No member may serve more than two (2) consecutive terms, but may be re-elected after a one (1) year interval. An elected representative who changes Division during their term of office will serve the representative's original Division until the next election upon approval of their new supervisor. Members shall attend all meetings of the Staff Council. Members shall serve on committees as chairs or members, and may be elected as an officer of the Staff Council. Members shall be available to staff in their Divisions, indicating how they can be contacted. They shall be willing to hear concerns, to receive information and suggestions, and to communicate these effectively to the Staff Council. In turn, members must keep staff in their Divisions informed of the work of the Staff Council and matters that the administration communicates to the Staff Council. Members shall be allowed a reasonable amount of time to devote to Staff Council meetings and Staff Council work as part of their normal working duties. However, excessive time taken or needed for Staff Council work and/or assignments must be cleared with the member’s supervisor. After two (2) absences in an academic year, a letter shall be sent to the Representative from the Secretary reminding them of their absences. Upon accrual of three (3) absences, the Representative is automatically removed from Staff Council and the Secretary will send a letter to the Representative advising them of their removal from office. A new Representative will be appointed by the Vice President of that Representative’s Division(s) as soon as practicable and the replacement Representative will serve the remainder of the removed Representative’s term. A Representative’s term of office may be terminated and a new Representative elected at any time by a majority vote of all eligible Division Representatives. A vote to terminate a current Representative and elect a new Representative may be initiated by a written petition signed by at least fifty percent (50%) of the eligible staff in the represented Division. Any Representative who is discharged from their position upon the accrual of three (3) absences may appeal the removal in person at the next called executive board meeting by giving a minimum 5 business day written notice of intent to the Chair of Staff Council. Any Representative discharged from their position will not be eligible for reelection to Staff Council for one (1) election cycle. Officers of Staff Council shall be elected by the members of the Staff Council. Officers will make up the Executive Board of the Staff Council. The Officers of the Staff Council shall be the Chair, Chair-Elect, Past Chair, Secretary, and Treasurer. The Chair shall: (1) be present at all meetings of Staff Council; (2) conduct Staff Council meetings; (3) ensure that projects undertaken by Staff Council are developed, organized, and implemented in an orderly and timely manner; (4) involve the Chair-Elect in all decisions; (5) fulfill other responsibilities and duties as required; and (6) decide any tie vote. The Chair-Elect shall: (1) assume the position and duties of Chair at the end of the Chair's term or at such time as the Chair's seat is vacated; (2) become thoroughly knowledgeable of all Chair decisions to provide a smooth transition and continuity of duties; (3) conduct Staff Council meetings in the absence of the Chair; (4) be authorized to sign all documents for Staff Council in the absences of the Chair; (5) assume other duties as directed by Staff Council; (6) become Acting-Chair during extended, but not permanent, absence(s) (i.e. vacation, illness, etc.) of the Chair; and (7) assist the Chair with duties as needed. The Secretary shall: (1) give notice of all meetings; (2) prepare and maintain a file of official minutes for all meetings of Staff Council, with the minutes electronically published after each meeting; (3) post the minutes of the previous meeting on Staff Council Website and send a copy of the approved minutes to the President; (4) help with all correspondence as directed by Staff Council within the timeframe specified; (5) keep and archive the history of the formation and all members and actions of Staff Council; and (6) conduct Staff Council meetings during the absence of both the Chair and Chair-Elect. The Treasurer shall: (1) be responsible for all financial aspects of the Staff Council functions, including making any deposits to Staff Council accounts, and purchases according to University policy and regulations; (2) maintain an accurate account of all receipts and expenditures; (3) verify accounting summary/detail reports from University Administrative Accounting records for Staff Council accounts; (4) reconcile such account records at least monthly; (5) report on these activities at each Staff Council meeting; and (6) submit an annual written report to the Executive Committee. The Past Chair shall: (1) assume this advisory position at the end of their term as Chair; (2) provide knowledge of all Chair decisions for continuity of duties; (3) assume Chair duties in the absence of the Chair, Chair-Elect, and Secretary; (4) assume other duties as directed by Staff Council; (7) assist the Chair and Chair-Elect with duties as needed. The term of office for Chair, Secretary, and Treasurer are one (1) year. The term of office for Chair-Elect will be one (1) year, although the member’s individual term of office will be in accordance with Article III, Section 4-1. No member may hold more than one office at a time, and no member shall be eligible to serve more than two (2) consecutive terms in the same office. Any member may be re-elected to an office, which they held for two (2) consecutive terms, after being absent from that position for one full term. The call for nominations for the offices of Chair-Elect, Secretary, and Treasurer for the upcoming year will be taken in May, with elections occurring at the June meeting. Newly elected officers will transition in July and assume their duties August 1st. Any Executive Board vacancy shall be filled only from the remaining Staff Council members. The process will be by nomination and vote of the remaining members of Staff Council. A Representative of Staff Council elected to fill a vacancy shall serve for the remaining term of the vacancy. If the position of Past Chair becomes vacant, it will remain vacant until the next election term when the current Chair will assume that position. Each Staff Council Representative will be elected by open ballot to serve a two-year term. Once elected, each Staff Council Representative will represent all eligible Staff. Election of Staff Council Representatives shall be held every May to become effective August 1 of the current fiscal year. The Executive Board of the Staff Council shall select a Representative as Chair of the Nominations and Election Committee. The Chair of the Nominations and Election Committee shall not be a candidate for re-election to Staff Council during the year of service as Nominations and Election Committee Chair. The Nominations and Election Committee may make necessary modifications to operating procedures for the nomination and election of representatives, subject to majority vote approval of the Staff Council, consistent with these guidelines: nominations will be held for a two-week period, voting will be held for a two-week period, and the results of the election will be announced in the month of June. Nominations of candidates for Staff Council may be made by any of SHSU Staff, regardless of Division. The nominee is notified by the Nominations and Election Committee and must agree to have their name on the election ballot. The Nominations and Election Committee is responsible for verifying eligibility of nominees and for assuring that a minimum number of candidates are nominated from each Division. The minimum number will be as stated in Article III. If the minimum number of candidates is not reached through the nomination process, the Nominations and Election Committee will solicit the respective Division(s) to meet the minimum number. Nominations: Nomination forms will be solicited by Division and the nominees will be verified by the Nominations and Election Committee. The Nominations and Election Committee will establish a schedule so that the nomination forms will be available to all eligible Staff. The Nominations and Election Committee shall verify eligibility, willingness of nominees to run and to serve, in writing, and shall inform the nominees of meeting times, attendance requirements, the time commitment required, and that this is a voluntary position with no additional compensation. Ballots: The Nominations and Election Committee shall prepare and distribute ballots in the same manner as the nomination forms. There is no maximum number of nominees within a Division. The Nominations and Election Committee will establish a schedule so that the ballots are available to all eligible Staff. The Nominations and Election Committee has authority to designate the manner in which nominations and ballots are distributed. Regardless of the method of voting, each staff member will be afforded only one ballot / one vote. Counting Ballots: The Nominations and Election Committee shall count the ballots and present preliminary results to Staff Council for certification. At least three Committee members shall count the ballots. n the event of a tie vote, the Nominations and Election Committee will prepare a run-off ballot, repeat the election process, and present the results to the Staff Council. Announcement of Election Results: The Chair of the Nominations and Election Committee will notify new Representatives and invite them to attend the next meeting of Staff Council as guests. Election results will be given to the Secretary for publication. Election Records: In the event paper ballots are used, all ballots will be sealed and held for three (3) months after the announcement of results. If no allegations of election disputes or error are brought forward, the ballots will be destroyed. Lists of the vote tabulation shall be secured and maintained by Staff Council Secretary for three years from the date of the election. Election Disputes: The Chair of the Staff Council shall accept and investigate all election disputes and determine what, if any, irregularities occurred during the election process. The Chair shall take whatever remedial action necessary to settle the dispute. Executive Board members shall be elected every June to become effective August 1st. All nominees must acknowledge their willingness to serve as an Executive Board Member. The Chair-Elect nominee(s) must be at the beginning of their two-year Staff Council term(s). Their term will be extended by one (1) year in accordance with these Bylaws. Election winners will be decided by determining the candidates receiving the highest number of votes of Staff Council Representatives. Ties will be decided by run-off elections. In the event of more than two (2) runoff elections, the Past Chair will cast the deciding vote. Meetings of the Staff Council shall be open to all Sam Houston State University Staff. Certain issues may be discussed by the Staff Council in closed session at the discretion of the Chair. Regular meetings of the Staff Council shall be held August through July; and, in no case shall there be fewer than four (4) meetings per year. Meeting times shall be established by the Executive Board at the first regular meeting. All meetings, whether scheduled or special, should be held during normal working hours Monday through Friday. Meetings shall be publicized in advance of the scheduled meeting. An Agenda shall be posted at least three (3) working days prior to the scheduled meeting. If the Chair and Executive Board have no new agenda items or proposals, they reserve the right not to hold a meeting but must give ample notification to Staff Council Representatives. Special meetings may be called by the University President, the Staff Council Chair, or at the request of a quorum of the Staff Council Representatives. Ten (10) working days’ notice must be given of any special meeting. The University President may call an emergency meeting at any time without prior notice. Notice can be given at Staff Council meetings, on the Staff Council Website, by e-mail, by telephone, or by mail, depending upon the circumstances. Only business specified in the call of the special meeting may be conducted at such a meeting. One Executive Board meeting per year shall be designated as an open forum of the Staff of the University. The Chair and/or other executive officials shall be invited to be the guest speaker(s). The purpose of the forum shall be to share common interests and concerns, to pose questions, and to provide the University President an opportunity to share information with Staff. A quorum shall constitute a simple majority (50 percent + 1) of the Staff Council Representative. Neither the Staff Council, the Executive Board, nor a committee shall conduct business without a quorum. The Chair may only make announcements of an informative nature. Any business transacted is null and void. The Executive Board may convene and vote on time-sensitive issues that require immediate action and report the outcome to the Staff Council at the next scheduled Staff Council meeting; for example, an emergency meeting called by the University President. Only elected Staff Council Representatives may vote. A quorum is required for a Staff Council vote to be taken. Voting on motions and issues brought before the Staff Council shall be by voice or show of hands, unless a roll call vote or vote by secret ballot is requested by a Representative. Roll call votes are recorded in the minutes. Each Representative is entitled to one vote. No proxy votes are permitted. A simple majority vote of the Representatives present and voting shall decide a question, and the Chair shall break any tie vote. Only Representatives shall introduce proposals, measures, and resolutions on the Staff Council floor. Persons who are not Representatives may be granted the right to speak, but not to vote, on matters before the Staff Council. When a request is made for this privilege, the Chair shall ask the Staff Council for objections and, hearing none, shall grant permission to speak. If objections are raised, the privilege shall be extended only by majority vote of the Staff Council. The Executive Board shall set an agenda for each Staff Council meeting that includes the time and place of the meetings, the order of business, and copies of any substantive proposals. Other items may be added to the agenda at the meeting if approved by a majority of the Representatives present. The agenda should be distributed and posted in a form widely available to all Staff. Respond to the submitted proposals within a reasonable amount of time, considering the circumstances of the proposal. Minutes shall be made available to the Staff Council within ten (10) working days after each regular meeting. After approval, minutes shall be modified as amended and maintained for permanent record. The minutes of the meetings shall be posted on the Staff Council website and open for inspection. The order of business shall be: (1) call to order and establish a quorum; (2) approval of minutes; (3) committee reports; (4) unfinished business; (5) new business; (6) miscellaneous (comments, announcements, tributes, etc. ); and (7) adjournment. The most recent edition of Robert's Rules of Order shall govern the SHSU Staff Council and its committees in all cases to which they are applicable and in which they are consistent with these guidelines or with any special rules of order the Staff Council may adopt. The University shall establish and fund an operating budget sufficient to meet the reasonable operating expenses of the Staff Council. The account chairperson shall be the President of the University. The Staff Council Treasurer shall be established as the department head with alternate signature authority assigned to the Staff Council Chair. At all times, details of expenditures made on behalf of the Staff Council shall be available for review and audit. The Staff Council Treasurer shall maintain transaction records for at least three (3) years. With the exception of Executive Board members, all Staff Council Representatives shall serve on at least one standing committee or on an established subcommittee within a standing committee. Each committee shall be comprised of at least five (5) Representatives. Staff Council Representatives shall serve on a minimum of one (1) standing committees and/or sub-committee of their choosing. Representatives may also volunteer to serve on additional standing committees if they so choose. The Executive Board shall determine the standing committee representation and Chairperson by the September meeting. The term of a committee Representative shall be for one (1) year. Each committee will meet at least twice academic year. Additional meetings may be called by the Chairperson, or upon request of at least two (2) members of the committee. Meetings shall be conducted following the guidelines set forth in Article VI of the Bylaws. The standing committees of the Staff Council shall accept business items assigned to them by the Executive Board, address those item(s) in a responsible and timely manner, and establish subcommittees to study specific issues and make recommendations as necessary. Standing committees may request that the Executive Board appoint an ad hoc committee for special business under their jurisdiction. Under no circumstances shall information be disseminated from a committee which has not been authorized by a majority of the Executive Board or adopted by majority vote of the Staff Council. The committee chair will make a report to the Staff Council at each meeting and prepare a complete written annual report concerning the work of the committee to be submitted to the Staff Council Chair and Secretary by the last meeting of the academic year. The standing committees of the Staff Council are the News and Networking Committee, Special Events Committee, Staff Development Committee, Staff Affairs Committee, and Nominations and Elections Committee. News and Networking Committee: This committee will develop and implement communication strategies for the Staff Council, including but not limited to maintaining the Staff Council’s web page and social media. The committee determines the best methods for communication, both internally for the Council and externally with the University. Once a month, the committee recognizes a staff member who exemplifies extraordinary performance in their duties, as the Spotlight on Staff for the month. In addition, the committee may assist other committees and officers with visibility and public relations, including but not limited to flyers, announcements, newsletters, mass emails, and other promotional activities. Special Events Committee: This committee shall promote the Staff Council to the University and surrounding communities to foster staff pride, work with the appropriate University offices and news services to publicize the Staff Council and its activities,and plan and coordinate activities where staff can meet their Representatives and learn about Staff Council activities and service opportunities. Staff Development Committee: This committee shall create and host an annual programto provide staff with learning and development opportunities. In addition, the committee will collaborate with Human Resources to provide training programs that are beneficial to Staff..
Staff Affairs Committee: This committee shall address concerns brought forth by the University President, Staff Council Executive Board, and the Staff Council including, but not limited to administrative policy and procedures, staff evaluations, parking and transportation, and campus safety. This committee shall identify, analyze, and formulate recommendations for issues affecting SHSU’s staff members. The recommendations shall be reported to the Staff Council and the Executive Board for adoption by the Staff Council. This committee shall present recommendations to the leadership of SHSU and advocate on behalf of Staff. Nominations and Elections Committee: The committee shall handle all nominations and elections procedures as set forth in the Bylaws and coordinate and validate all elections to the Staff Council. No Staff Council Representative who is a candidate for a Staff Council position may be a member of the Nominations and Elections Committee. Ad hoc committees of the Staff Council shall be appointed by the Executive Board as needs arise, or as requested by a standing committee for special business under their jurisdiction to review and address specific issues. Each ad hoc committee will have at least three (3) Representatives as members. Ad hoc committees will elect a chair who will be charged with presenting the issue and responding with the committee's findings to the Staff Council. The life of the committee will be determined by the matter under consideration and the committee shall be disbanded when the purpose has been served. Ad hoc committees shall accept the issues assigned to the committee by the Executive Board; address the item(s) in a responsible and timely manner; make progress reports on the committee activities to the Staff Council, and prepare and present a final report or recommendations. Recurring ad hoc committees are appointed by the Executive Board. The recurring ad hoc committee of the Staff Council will be the Bylaws Committee. Constitution and Bylaws Committee: Upon request of the Executive Board, this committee shall review the Constitution and Bylaws to assess the continued appropriateness to current Staff Council needs. The committee will review, propose, and recommend through the Executive Board to the Staff Council any changes or revisions to the Constitution or Bylaws. The committee may also consider proposed changes in the Constitution or Bylaws introduced by Staff Council Representatives. The President of the University, following the determination that some portion(s) of the Bylaws are at variance with Texas state law or the adopted rules and policies of The Texas State University System. Amendments proposed pursuant to Article IX, Section 1, of these Bylaws shall require approval of a majority of current Staff Council Representatives casting ballots and by the President of Sam Houston State University. Proposals for amendments must be made available to the Staff Council Representatives at least five (5) working days before they are voted upon.